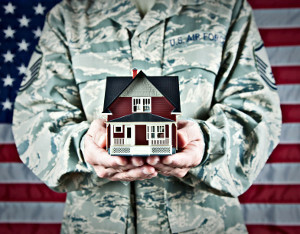 Many prospective borrowers are curious about what VA loan fees will be charged in connection with their loan, and more specifically, how much cash is necessary upon closing. The majority of these fees can all be rolled into the VA home loan so long as the total amount doesn’t exceed the conforming loan limit for that particular county. As mentioned above, the seller is allowed to pay the buyer’s closing costs. However, the seller is limited by the VA and can only pay 4% of the purchase price and closing costs up to 5%. Except for the VA funding fee, all the other fees are typical of conventional and comparable loan programs. Certain fees such as property taxes and insurance are put into escrow to cover the next year’s expenses – these costs are included in the monthly mortgage payment. How are VA home loan fees different from other types of home loan fees? The VA has limits on the types of fees that are allowed and how much can be charged. The veteran is responsible for paying the fee for the credit report obtained by the lender. This fee covers the inspection that makes sure the property meets the relevant safety standards. The VA funding fee is a legally mandated fee that enables the veteran who receives a VA home loan to contribute to the cost so that the cost is reduced for taxpayers. The reason that the fee is higher for second-time use is based on the theory that prior users have had ample time to earn equity or save money for a down payment. The borrower will have to pay the fee of a VA appraiser, who will assess the home’s value. The lender will charge a flat 1% fee that will cover things such as settlement, document preparation and notary fees. The borrower can pay their portion of taxes and assessments for the upcoming year as well as the initial tax and insurance account deposit. This will appear in the monthly mortgage payment. This includes flood insurance if required. This is the fee for registering the mortgage/property so that it becomes a matter of public record. This fee protects the lender’s interest in the property in case the ownership is questioned. This fee is associated with the loan’s final payout and involves mailing/wiring financial payments and documents. This fee is for the determination of whether or not the property is in a flood hazard area. This assessment is made by a third party who guarantees complete accuracy. The recording tax is a fee charged by the state to cover the expense of recording your property with the land records office. When dealing with fees, borrowers are going to want to talk to their lenders to discuss options. It’s imperative that throughout the entire lending process, borrowers are matched up with a reputable, ethical lender who will help them make good decisions. Borrowers are encouraged to do as much research as possible to receive the best loan rates and terms. Lender411 has an extensive database of VA Loan lenders that can help deal with and facilitate the terms of VA fees today. To find the best possible rates for your future VA loan, simply fill out Lender411's VA Request a Quote form on the top of the page and receive a quote from a trusted and reputable lender near you today.